Leaves skin soft, supple and resistant. 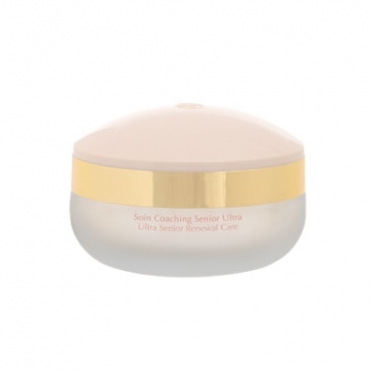 R Merveilleuse - Soin Coach Senior Ultra is a Stendhal age-fighting cream specially developed to meet the needs of mature skin, from the age of 60's. This energy-boosting formula replenishes skin needs, restoring the lack of essential elements calcio, magnesium, Omega 3 and 6, vitamins, which promote a youthful and healthier-looking appearance. It hydrates and nourishes deeply the face. It targets skin resistance and elasticity. Developed with light-reflecting pigments that illuminate the face and reduce wrinkles and lines.